2016 is the 400th anniversary of the death of William Shakespeare, and Chicago is celebrating his life with a series of programs all over the city called Shakespeare 400. 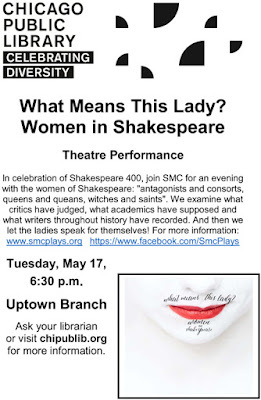 On Tuesday, it comes to Uptown with a free performance at the Uptown Library, 929 West Buena, by Shakespeare's Motley Crew theater company. 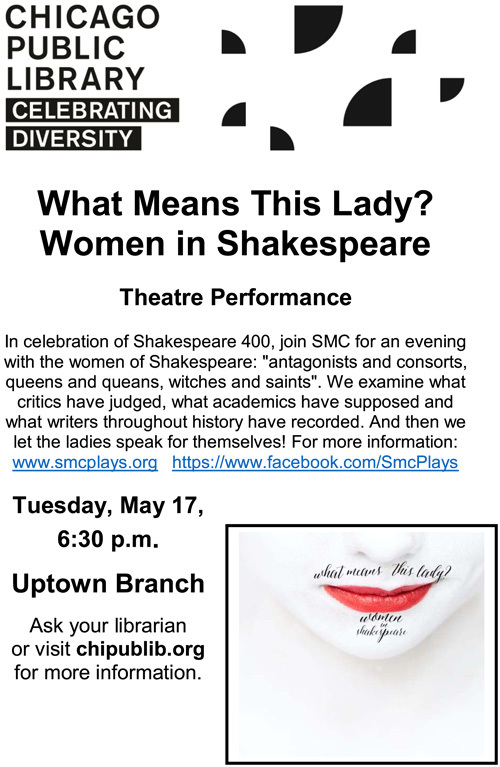 "In celebration of Shakespeare 400, join SMC for an evening with the women of Shakespeare -- antagonists and consorts, queens and queans, witches and saints. We examine what critics have judged, what academics have supposed and what writers throughout history have recorded. And then we let the ladies speak for themselves!"